Minimise the release of harmful pollutants to the air. Minimise the impact of pollution on people. Air Quality Planning Scheme Policy. These documents define the requirements for assessing air quality in a Development Application and the information that is required to be provided to Council to support the application. 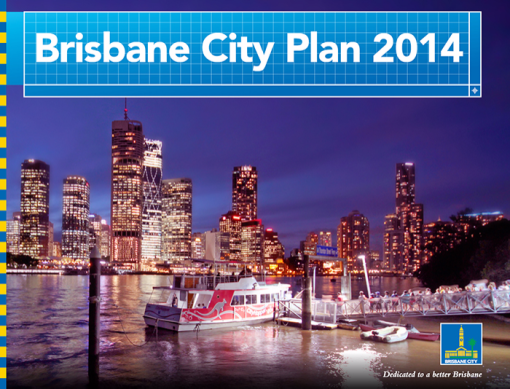 Brisbane City Plan 2014 is a technical document, which can be overwhelming if you have not used it before. The specialists technical areas like air quality can be even more difficult. Getting the right air quality advice for your development can be hard. If you have found this page then you have come to the right place! Brisbane City Plan 2014 and the Air Quality Planning Scheme Policy provide assessment methodologies for activities that emit air pollutants (e.g. industrial activities) and activities that may be affected by air pollutants (e.g. residential dwellings). This article deals with the latter situation where sensitive land-use(s) are proposed to be developed. In certain situations dictated by Brisbane City Plan 2014, the proponent of such a development will need to demonstrate that the proposal will meet a Performance Outcome related to air quality. This may be done by demonstrating that the proposal will comply with an Acceptable Outcome—often a separation distance. Where the Acceptable Outcome cannot be met or where it is otherwise required by Brisbane City Plan 2014, an Air Quality Impact Report is required to demonstrate that the Performance Outcome will be achieved. The overlay codes (Industrial Amenity, Transport Air Quality Corridor or Extractive Resources) provide a means of determining whether separation from sources of air pollutants is adequate or if an Air Quality Impact Report is required. If the proposed development falls within one of the designated areas, an Air Quality Impact Report is required. The Brisbane City Plan 2014 Industrial Amenity Overlay Maps are not exhaustive. We have found a number of situations where smaller industries, such as spray booths, are not included. It is recommended that an air quality expert visit the site to ensure that all relevant industries have been identified. modelling assessment of all relevant emissions to demonstrate compliance with the Air Quality (Planning) Criteria. The Extractive Resources Overlay operates in a similar way to the Industrial Amenity Overlay. If adequate separation is not possible, mechanical ventilation or filtration must be included, and a Transport Air Quality Corridor Report may be needed. Additional constraints also apply for a childcare centre development. prepare this for you too.